SAVE Brasil has been working for the conservation of the Serra do Urubu Important Bird Area since 2004. Over the past five years it has become apparent that in order to ensure the long term conservation of the region's biodiversity, local people need to be made aware of the connectivity between the environment and their livelihoods. 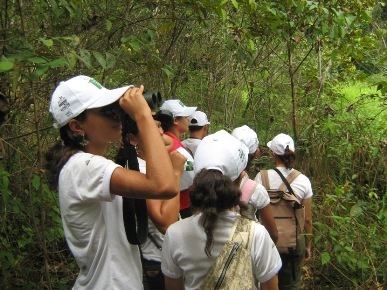 The Education Centre for the Conservation of the Serra do Urubu emerges from this context, as a place for the promotion of environmental education activities that integrate local and scientific knowledge. The Centre‘s purpose is to build up conservation values and attitudes among the local community in order to mobilize them for the conservation of the Serra do Urubu’s natural resources.